Back in the ’80s, music videos were a really big deal. Those were the nascent days of MTV and to have a hit, you needed to have an interesting visual brand. There are many timeless videos from this period, but one group in particular took advantage of the medium to deliver some truly iconic works of art. That band was, of course, Yello. The Swiss-duo of Dieter Meier and Boris Blank created their own world through these videos that was at times seductive, futuristic, noirish and, quite often, truly bizarre—in other words, a perfect reflection of the music itself. It should probably come as no surprise, then, that many of these videos were directed by Meier himself. We bring all this up because we’ve had the group on the brain ever since they premiered the video for their new song “Limbo” on Thursday. That video felt like a return to their ’80s output to us, which, while we’re huge fans of all their work, still holds a very special place in our hearts. We decided to revisit those years, and what we found was even stranger than we remembered. 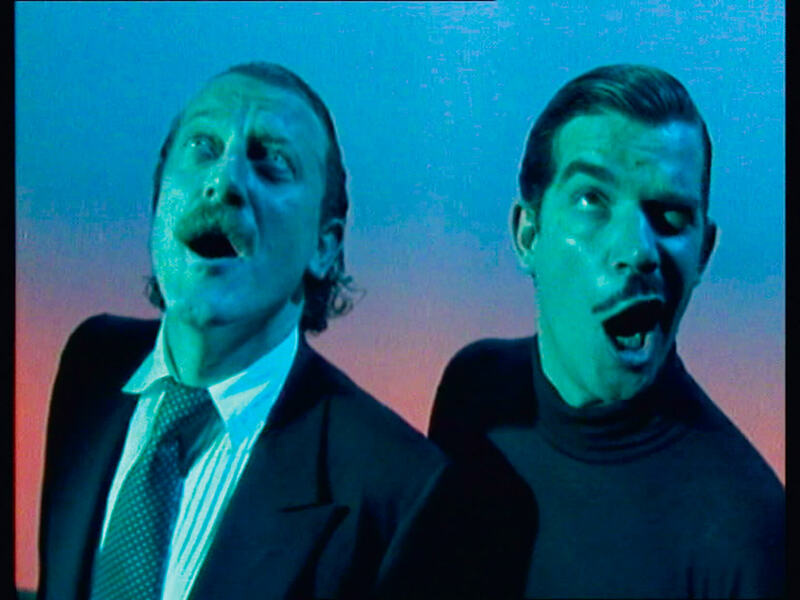 Here are10 of the most bizarre music videos from Yello’s early years.